To protect your computer from malware, spyware and viruses when working online or offline, you need to invest in a quality antivirus. Avast 2016 is a technologically advanced software in the market that you can count on to safeguards your computer and tablet from all sort of malicious programs. It was created by experts who have vast hands-on experience in computer programming as well as academic qualifications hence rest assured that you will get value for your money. Avast claims more than 236 Million Downloads which shows its trust and popularity. 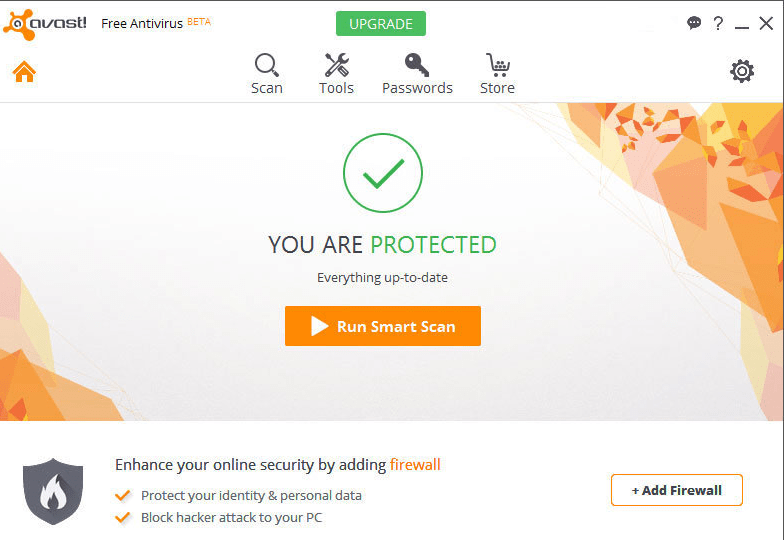 Now these days Avast does not need an introduction in Security industry. In 2016 version Avast by default enabled the “Participation in Data Sharing” option by default. So if you have any privacy issue or do not want share anything about your PC then you can disable this option from the setting after installation. Though it will also ask you during installation but there are chances that we can miss this at that time. To Disable this option do the following simple steps. In General Settings Click on the Privacy to Expand its hidden options. Uncheck the “Participate in Data Sharing” Option. Video guide on How to Install Avast Premium on your PC. Here is an honest review of this amazing software detailing its unique features and capabilities to help you make an informed decision when looking for antivirus software. This feature is designed to effectively scan your home network for various vulnerabilities such as passwords especially if you are sharing Wi-Fi connection with other users. It will protect your router passwords and computer files from been accessed by anyone without your consent. One of the key attributes that give it a higher cutting edge is that not only scans but also provides comprehensive list of all computers in your network by showing IP addresses. Time is a limited resource that needs to be well managed at all times. The geniuses behind Avast 2016 understand this fact too well as evident from its new Smart Scan feature. By turning on this feature, the software will automatically scan your computer for malware and viruses at once. To save time, you will be able resolve all issues that are listed in just one screen or interface. For example, you will be able to delete all viruses at once by clicking on “Resolve All” tab at the bottom of the page. Also, you can decide to run a new scan by clicking on “Rescan” just to be sure that all issues have been resolved. DNS hacking is one of the most common types of cyber crime nowadays. To protect you from such problems, this new program comes with a SecureDNS feature to fully protect your computer and network from hackers at all times. Did you that there are websites that can install malware to your computer without your consent as you browse? HTTPS scanning is a third generating web shield that comprehensively scans encrypted HTTP traffic to weed out any possible viral threats. It is also important to point out that it can detect threats even in TLS/SSL protected traffic. There are some programs that have capacity to slow down performance of your computer. Avast 2016 can optimize your PC by scanning all installed programs and computer registry to identify areas such programs. It will automatically tweak your system registry to free up more data store space in the hard disk. Unlike other programs that tend to affect computer’s performance negatively when running, this one is expertly programmed to use only 1% CPU and only 58% computer memory. Well, the new interface is still similar to the previous version. However, the new one is very user friendly and intuitive hence no prior experience is required to deliver maximum utility from it. All you need to do is click the right button. For example, you can change settings or view real time statistics by just clicking one button. It will keep your browsers and programs update by looking and installing updates to ensure they are always up-to-date and secure to use. To ensure that clients’ queries are responded to in a timely manner, its Customer Support has now been moved online. More importantly, it’s packed with lots of up-to-date information to help solve any huddle that you come across when using the software. Despite the fact that Avast 2016 is unequal to no other in the market, it’s very affordable. You can decide to use the free or premium version to access all its features. Avast 2016 is reliable antivirus software that you can count on. It’s an ideal choice for new and experienced users. You can grab the opportunity to get your favorite avast in cheaper and lower price by using Avast promotions launched by the company time to time. Coupons and promos are great way to save some bucks on your purchase. So Get updated for the latest deals and offers provides by the Avast to buy at best price. You can save a lot using Avast Coupon Codes and Promos. New Avast promo with 30% off on all products is available now. Thank you for this useful information. I like the new UI of Avast. Is there any Coupon and promo available to save some bucks on this new version. Any update guys regarding Cyber Monday or Black Friday Sale for Avast. I am looking for a good offer. Very Informative and thanks for the great update. Really beneficial. Avast is a great and trusted antivirus for me. Its free version taking care my laptop and smartphone. Thanks. Thank you for this great guide and Coupons. Very Appreciable. RECENTLY MY COMPUTER WAS INFECTED WITH ZEPTO VIRUS. I HAVE AVAST INSTALLED I MY COMPUTER: AVAST PREMIER. AVAST DID NOT DO ANYTHING TO PREVENT THIS VIRUS! I TRIED TO REMOVE THE VIRUS WITH AVAST. I LOST MOST OF MY FILES: DIGITAL PHOTOS AND MY DOCUMENTS. CAN THIS BE DONE WITH AVAST? OR I HAVE TO LOOK FOR ANOTHER ADWARE REMOVAL SOFTWARE? PLEASE SEND ME AN EMAIL WITH MORE EXPLICITY. I WANT TO KNOW WHY AVAST DOES NOT DO THE JOB!